Dr Allan Patience on The Future of Australian Foreign Policy. Light refreshments will be available after the meeting. Donations welcome. Download the flyer. Associate Professor Allan Patience is a Principal Fellow in the School of Social & Political Sciences at the University of Melbourne. 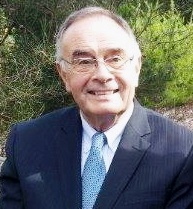 He has held chairs in political science and Asian studies in Australia, Papua New Guinea, and Japan, as well as visiting academic appointments in China, Taiwan, and Burma. He is also a member of the Research Institute on Social Cohesion, Community Resilience Unit, Victorian Department of Premier and Cabinet. 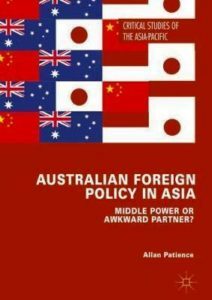 Professor Patience has just published Australian Foreign Policy in Asia: Middle Power or Awkward Partner, examining what kind of `middle power’ Australia is, and whether its identity as a middle power negatively influences its relationship with Asia. It focuses on the dependent nature of Australia’s middle power on its historical colonial and discriminatory past as well as on its current dependence upon the United States for a security alliance. It shows how this flawed middle power imagining contributes to Australia’s positioning as an “awkward partner” in its relations in particular with China, Japan, and Indonesia.